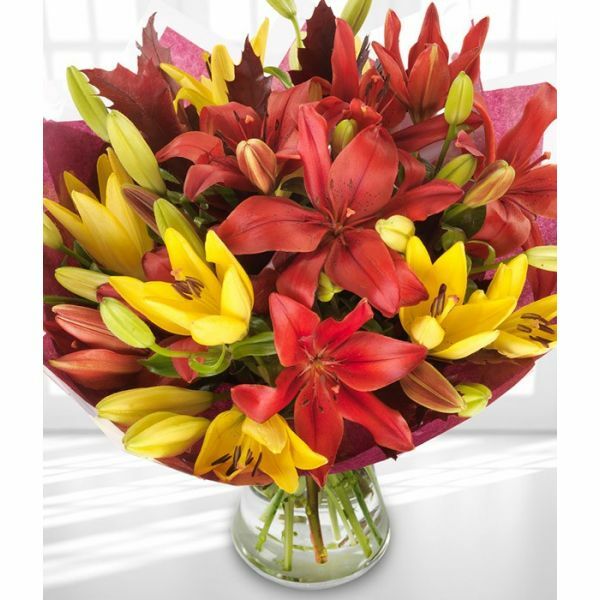 Make someone smile with this warming bouquet of mixed red and yellow lilies, sitting alongside rustic oak leaf. Flowers delivered in bud for freshness. Presented and delivered as a traditional flat, gift wrapped bouquet, ready for the recipient to arrange in a vase of their choosing.